The biggest reason Republicans are frantically trying to rush Brett Kavanaugh’s Supreme Court confirmation through, despite credible charges of sexual harassment and perjury, is that his confirmation would complete a slow-moving coup by their oligarchic donor class to turn American law back a hundred years. 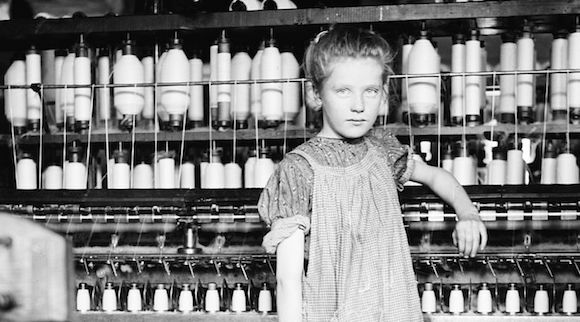 The Supreme Court blocked the enforcement of laws regulating the economy and the environment, including child labor laws and minimum wages. States were allowed the suppress the vote of African Americans and other minorities. Women and gays were not entitled the equal protection of the laws. Women were denied the right to control their own bodies. So there is nothing more important, right now, to the future of American democracy than blocking Kavanaugh’s confirmation, by any means necessary. It would be preferable to deny his confirmation on grounds of principle, because of his long record of pro-corporate, anti-worker, anti-environmental, and anti-civil rights jurisprudence, which could demonstrably set the nation back a century. But if it takes credible allegations of sexual assault, along with Kavanaugh’s likely perjury to the Senate in his confirmation hearings, to block his confirmation to a lifetime Court appointment that will thrust America backwards, so be it. Keep in mind that through most of American history, well into the 20th Century, the Supreme Court has been a deeply conservative institution that has repeatedly blocked social and economic progress. Indeed, until 1937, the Supreme Court overturned most economic regulation as unconstitutional, including child labor laws in the progressive era and much of FDR’s New Deal measures to combat the Great Depression. And let’s not forget the 1857 Dred Scott decision, which upheld the legality of slavery, and Plessy v. Ferguson in 1896, which upheld legal segregation, and wasn’t overturned until 1956. Only the Great Depression, which necessitated government intervention to rescue the economy – combined with FDR’s threat to pack the Court – led the Supreme Court to finally allow government regulation of the national economy. And it was the Soviet Union’s use of racial segregation to denigrate the United States in propaganda around the world – that contributed to Brown v. Board of Education outlawing de jure school segregation. But while during the immediate aftermath of the Great Depression and World War II, the U.S. corporate elite was willing to make peace with the modern regulatory state, by the late 1970s they were ready to fight back to regain unfettered economic and political power. Starting with the Reagan administration, Republicans and their monied backers began a strategic long game to remake courts in the United States, especially the Supreme Court, as a political tool of oligarchic supremacy. This concerted and disciplined political strategy – a slow-moving coup – will have achieved victory if Kavanaugh is confirmed, enshrining a long-term, 5-4 pro-corporate Republican majority on the Supreme Court. The command center for this coup is the Federalist Society. Founded in the early days of the Reagan presidency, and funded by right-wing corporate interests like the Koch brothers, the Scaife family, the Mercer Family (Trump’s biggest financial backers) and the Chamber of Commerce, it adheres to a simple but powerful premise: The easiest way to change the law to pro-corporate dominance is to the change the judges to proven pro-corporate loyalists. The Federalist Society has successfully led a highly organized, well-funded, extremely disciplined campaign which, for the past 35 years, has picked virtually all the judges in the Reagan administration, both Bush administrations, and the Trump administration. Four of the eight sitting judges on the Supreme Court – Roberts, Alito, Thomas and Gorsuch – are Federalist Society members who rule virtually in lockstep with Federalist Society positions, and regularly speak at Federalist Society events and hobnob with Federalist Society corporate donors at its dinners and events. The confirmation of Brett Kavanaugh would lock in a long-term, five-member Federalist Society majority on the Supreme Court, guaranteeing that virtually every decision in which the Federalist Society has a stake in will be decided in favor of the Federalist Society and its corporate donors. Can you imagine the screams from Republicans if Democrats had managed to place a five-vote majority of, say, ACLU members on the Court? Moreover, two of the five Federalist Society Justices – who among other things will be determining women’s right to control their bodies -will be men who were credibly accused of sexual harassment and even assault. In other words, Kavanaugh’s confirmation would complete the slow-moving coup by Republicans that began under the Reagan administration and culminates with the Trump administration’s effort to tilt American law towards pro-corporate, oligarchic dominance by changing the judges—both on the Supreme Court and lower courts –to proven pro-corporate loyalists. Close the courthouse doors to workers and consumers while opening them further to corporations. Overturn environmental, climate change, and financial laws and regulations. In short, tf the oligarchy’s slow-moving coup scores its ultimate victory with Kavanaugh’s confirmation, get ready for an America that is less democratic and more authoritarian, where laws protecting the environment are overturned in favor of corporate polluters, where the enforcement of economic laws and regulations are blocked, old white men control women’s bodies, and where minorities have fewer rights. To save America’s increasingly fragile democracy, Kavanaugh’s confirmation must be stopped by any means necessary. Then then voters need to be mobilized to beat the odds and elect a Democratic Senate majority in November who can indefinitely block another Federalist Society nominee to the Supreme Court, maintaining a 4-4 split which would prevent final victory of the Republican/oligarchy long-term coup.